Noted for her vocal agility and unique vocal colour, Canadian coloratura soprano, Abigail Freeman, is now establishing herself as a singer on the rise. Ms. Freeman begins the 2014-2015 season with the role of the Queen of the Night (The Magic Flute) with Oshawa Opera and will also join Opera by Request as Blonde (Die Entfuhrung aus dem Serail) and as The Chair in A Chair In Love by Canadian composer, John Metcalf. She will also make her debut with Summer Opera Lyric Theatre as Zerbinetta (Ariadne auf Naxos) and appear in recital with Arcady. Highlights from the 2013-2014 season were being featured as a soloist with the Heliconian Choir & Orchestra singing Der Hirt auf dem Felsen (Schubert) and appearing in the role of Ännchen in Der Freischütz (Weber) with Toronto Opera Collaborative. She closed the season with her first Despina (Cosi fan tutte) with the Toronto Summer Opera Workshop and as a soloist with Arcady in the Brott Festival as one of the Soprano Soloists in Mozart’s Requiem. Past performances include performances with the Heliconian Choir & Orchestra, the Canadian Orpheus Male Choir, Toronto Opera Collaborative, Tapestry New Opera 101 program, Counterpoint Chorale and the Talisker Players, the Mississauga Choral Society, Arcady and the Brantford Symphony, Cathderal Bluffs Symphony Orchestra and Village Voices, Tryptych Concert & Opera, Toronto Opera Repertoire, and the Georgetown Bach Chorale. She made her European debuts with the Thüringer Symphoniker Saalfeld-Rudolstadt and as Papagena in Lyric Opera Studio Weimar’s production of Die Zauberflöte (Mozart) in Germany. She concluded the 2013-2014 season as an actor and singer in the play, When it all falls down (written by Natalie Miller) which aired on Rogers TV/Hope TV. Freeman’s versatility extends from opera, recital, oratorio and concert works as well as cabaret and musical theatre. Past credits include Handel’s Messiah, Mozart’s Requiem, J.S. Bach’s St. Matthew Passion, Bach cantatas Wachet auf and Wachet, betet, and the roles of Fanchette (Le mariage aux lanternes), Ilia (Idomeneo), Lakmé (Lakmé), Adina (L’elisir d’amore), Donna Elvira (Don Giovanni), Gilda (Rigoletto), and Ophelia in the Canadian staged premiere of Mark Richards’, Hamlet. 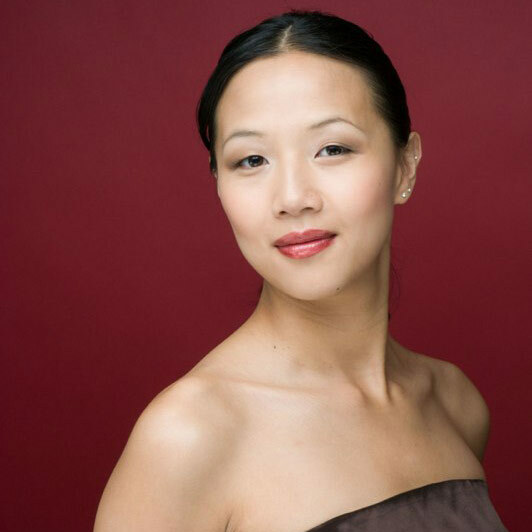 Freeman has been heard in recitals with the Plein Air Garden Concerts Series, Our Lady of Sorrows Concert Series (New York), and the Arcady Concert Series as a Young Artist. Freeman completed a Bachelor of Music Degree from the University of Toronto (Canada) and a Master of Music Degree from Binghamton University (United States). She has participated in masterclasses, workshops and programs with esteemed singers Joan Dornemann, Nico Castel, Mary Morrison, Rosemarie Landry, Kimberly Barber, Damon Nestor Ploumis, and Mildred Miller Posvar. A Chair in Love. What, what?